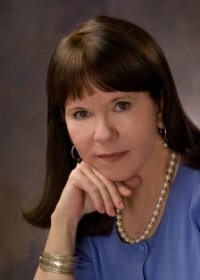 Posted by Carolyn Burns Bass in commercial fiction, MediaMonday, multi-cultural fiction, women's fiction. MediaMonday for November 5, 2012: Should Authors Write Consumer Book Reviews? Source media by Carolyn Kellogg from November 2, 2012 Los Angeles Times Jacket Copy, Why is Amazon Deleting Writers Reviews of Other Author’s Books? Some women’s lives read like fiction. Open a newspaper and stories of abuse, neglect, poverty, and a myriad of other devices rob women of voice and power in cruel and inhumane ways. On Wednesday in #litchat, Robyn McIntyre will lead discussion on how abused, displaced and/or powerless women feature in fiction. 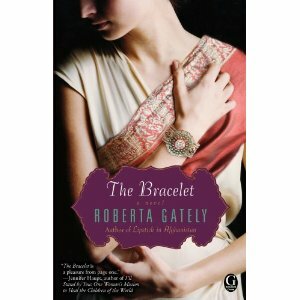 Friday’s guest host, Roberta Gately, will continue the topic with discussion of her new novel, The Bracelet. While training in Geneva for her new position with a UN-sponsored program in Pakistan, Abby Monroe witnesses the death of an exotic young woman. The image and mystery of the death follows her to Peshawar, where she works amid danger and despair at a UNICEF clinic monitoring childhood immunizations. Sparks fly when Abby, fresh from a recent break-up, meets arrogant New York Times reporter Nick Sinclair. A caring person, Abby is swept into a human trafficking ring where women and children are enslaved and UN moguls double-play both sides for profit and power. The death Abby witnesses in Geneva becomes a chilling coincidence when she strings the details together and must flee for her life. A nurse, humanitarian aid worker, and writer, Roberta Gately has served in third-world war zones ranging from Africa to Afghanistan. Her first novel, Lipstick in Afghanistan, imagines another nurse in a war-torn country, this time post-9/11 Afghanistan. Gately has written on the subject of refugees for the Journal of Emergency Nursing and the BBC World News Online. She speaks regularly on the plight of the world’s refugees and displaced. Follow Roberta Gately on Twitter: @RobertaGately. This is a touchy subject but I really don’t understand why Amazon would go through so much trouble. At the moment it’s possible to get savvy reviews all over the internet, in which one doesn’t know the afflilation or not to the book being reviewed. I sse the point if it was an established interview that someone would do this but it’s Amazon. the readers write more comments than so called reviews. It’ exaggerated from Amazon’s part to do that. You have some valid points here. If you’re available at 4pmET, swing by Twitter and join the topic discussion live through #litchat.